Although Sir Joseph Paxton?s Crystal Palace - first erected in Hyde Park for the Great Exhibition of 1851 and moved here a couple of years later - was destroyed by fire in 1936, Crystal Palace Park and its beautifully landscaped 200 acres remain to be enjoyed. 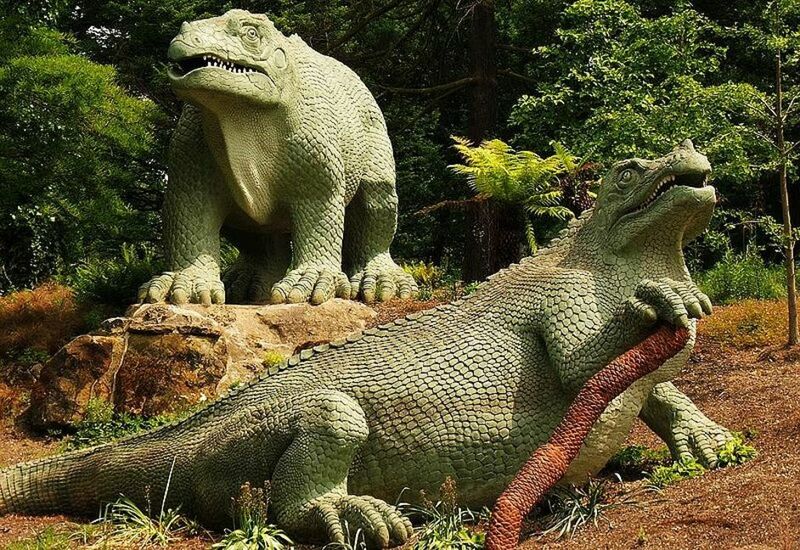 This outer-London park, easily reached by Overground to Crystal Palace, has great views, lots of space and plenty to entertain all ages: London?s largest maze, a lakeside concert platform, fishing, a children?s playground, the Crystal Palace Park Farm, and the famous life-size dinosaur sculptures ? created in 1852 by Benjamin Waterhouse-Hawkins and Professor Richard Owen, founder of London?s Natural History Museum and the inventor of the word ?dinosaur?. At the centre of the park is the National Sports Centre, which hosts international athletics meetings as well as housing facilities anyone can use, such as swimming and diving pools, a climbing wall and beach volleyball courts. And if you?re feeling peckish, try family-friendly café Brown & Green, right beside the station. Look out for regular events such as vintage car rallies, live concerts, funfairs and colourful firework displays. Crystal Palace Park gyms, sporting activities, health & beauty and fitness. What are the best dining options near Crystal Palace Park London? The best pubs near London Crystal Palace Park. Crystal Palace Park clubs, bars, cabaret nights, casinos and interesting nightlife. Where to have your meeting, conference, exhibition, private dining or training course near Crystal Palace Park. From cheap budget hotels to luxury 5 star suites see our special offers for Crystal Palace Park hotels, including Strand Palace Hotel London from 73% off.